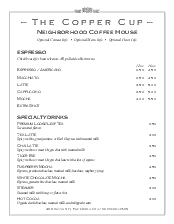 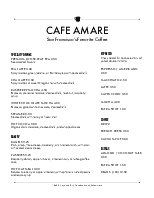 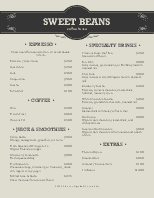 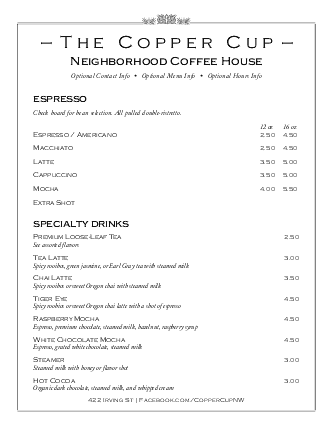 The Cafe Coffee Menu showcases your coffee and espresso offerings in a crisp black and white design. 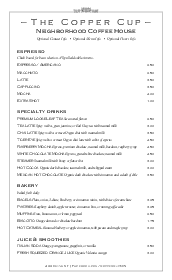 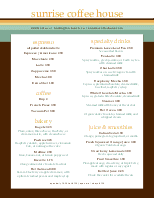 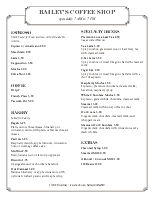 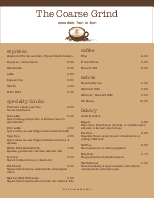 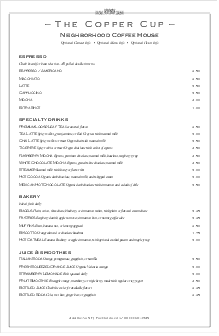 The letter-size menu displays drinks or cafe sandwich listings in a single column. 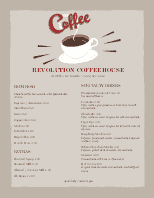 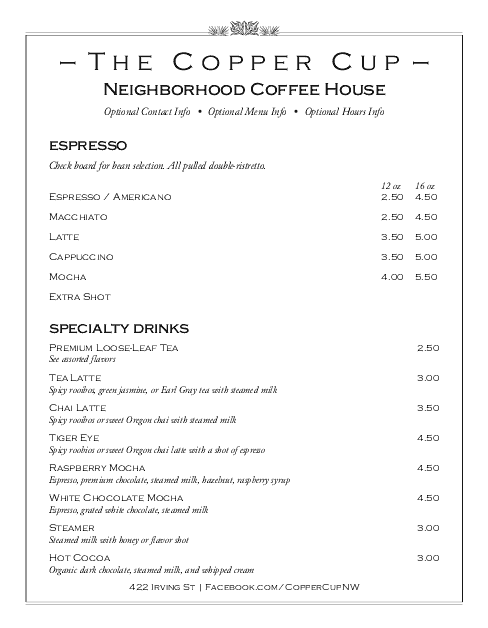 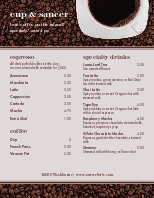 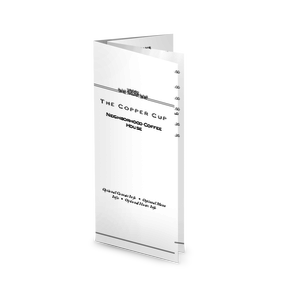 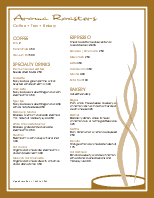 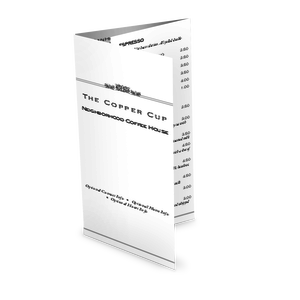 Customize your coffeehouse menu to choose paper size, add graphics, adjust layout and more.